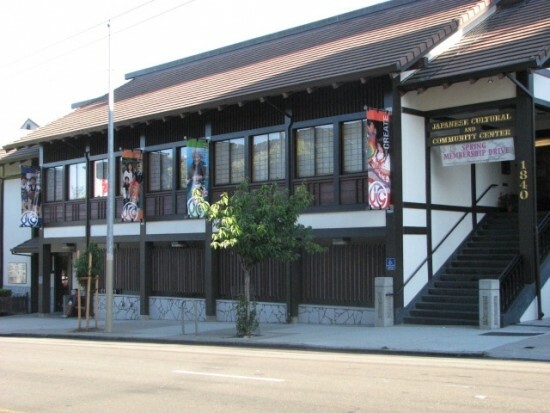 SAN FRANCISCO — The Japanese Cultural and Community Center of Northern California (JCCCNC) has announced the establishment of the Cultural Heritage Fund (CHF), which will act as an endowment for the future needs of the organization. The JCCCNC was incorporated in 1973 as a nonprofit organization to preserve and promote the Japanese and Japanese American cultural heritage. Since then the center has evolved to become one of the premier Japanese American community nonprofit organizations in the United States. Today over 180,000 people of all ages and backgrounds walk through its doors on an annual basis. Every year the center offers 80 to 100 various classes, workshops, programs, sports leagues, special events and cultural and community activities for all ages. “It’s hard to imagine what Japantown would be like today without the Community Center. It is one of the few positive things that came out of the redevelopment of Nihonmachi,” remarked Allen Okamoto, one of the co-chairs of the CHF. The dream of the JCCCNC began over 40 years ago with the goal of creating a multi-purpose cultural center that could act as a focal point for the Japanese American community. The projected $3 million to build the center back in 1980 led to the largest fundraising campaign in Japantown’s history at that time. By the time the mortgage was finally burned in 1996, the final cost was over $4 million. “The long-term vision of the JCCCNC was never just to raise enough money to build it, but also to maintain it and to ensure that the center would continue to be around for future generations to come, which is why the CHF is so important for our community,” commented Rumi Okabe, co-chair of the fund. “The goal of the CHF is to fulfill the promise to ensure that the center will be there for future generations, so that our Japanese and Japanese American cultural heritage will continue to strive well into the next century,” commented Paul Osaki, JCCCNC executive director. The CHF will act similar to an endowment with the principal gifts made to the fund held in perpetuity with just the dividends and earnings for the given year used to support the operations of the center and most importantly to help pay the maintenance, repair and replacement of capital and building needs, which will run into the hundreds of thousands of dollars throughout the years. The cost of operating the center will continue to go up in time, and the further the JCCCNC gets away from its core founding donors (the Nisei), the more difficult it will become to raise the funds for capital projects down the line. The CHF will ensure that the JCCCNC can meet those needs generation after generation. “Japantown’s future is full of uncertainties. Many of the Japanese American businesses may close and properties sold, but one thing is for sure, that the JCCCNC will be around forever if we are successful with the CHF campaign,” says Co-Chair Robert Sakai, former owner of Uoki K. Sakai. The JCCCNC Cultural Heritage Fund is a professionally managed fund by the Marin Community Foundation (MCF), based in Novato. The MCF, which manages over $1.6 billion in total assets, selects top-rated nonprofit organizations in Northern California to help them establish and manage an endowment fund after a stringent review process of their mission statements, financial accountability, organizational management and community need.